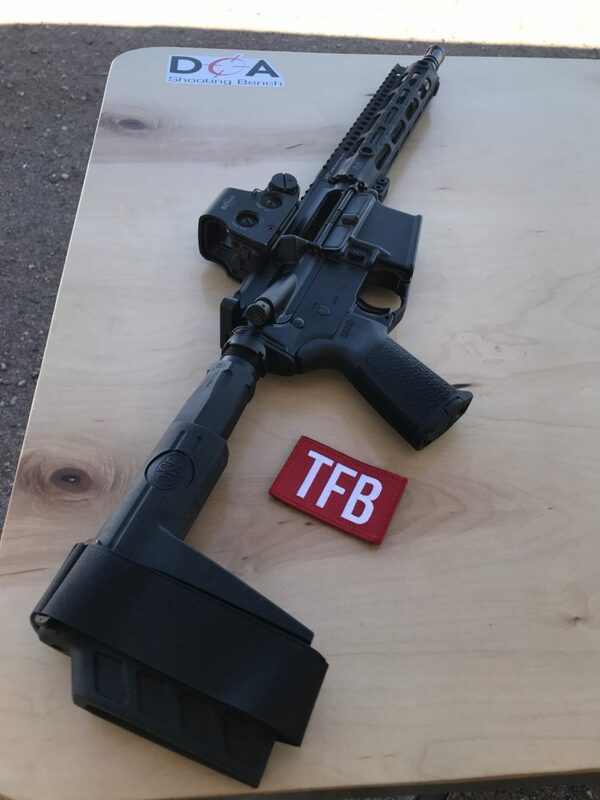 Via TFB, FN has come out with a new pistol chambered in 5.56mm (or 300 BO). Hey, great idea. That’s really innovative. No one else has thought of an AR pistol in 5.56mm before. FN does have its eggs in the P90 basket, but one would think this would be a short stretch for them. The price of the FN-15 pistol is absurd. My AR-pistol may have cost me about $1000.00 including the Trijicon red dot sight and Daniel Defense rail system. It has a 10.5 inch stainless steel barrel. You are currently reading "New FN15 Pistol", entry #18519 on The Captain's Journal. This article is filed under the category(s) Firearms,Guns and was published January 23rd, 2018 by Herschel Smith.